I hope you're having a whale of a time (sorry, I couldn't resist!) 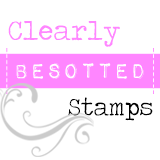 enjoying the sneaky peeks of the new Clearly Besotted November release so far and you're ready for day three of them. (if you're playing catch up then check out day one here and day two here). 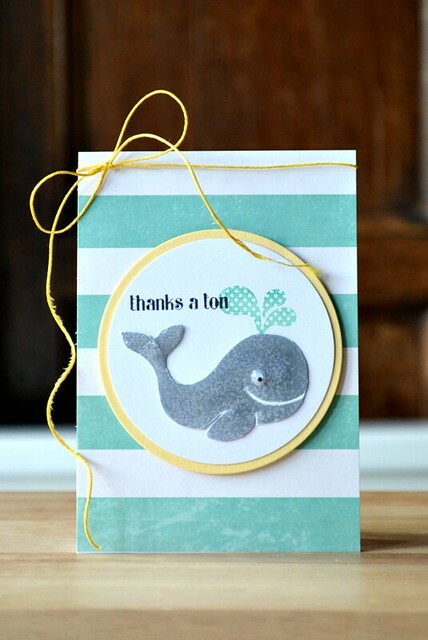 Today I'm sharing a super-sweet mini stamp set, Whale Done, which consist of this adorable whale along with a choice of pun-tastic sentiments. Just my kinda set! I couldn't resist adding a googly eye to this whale - it adds so much character, don't you think? It's not possible to see on my pic, but I smothered that whale in Glossy Accents. It adds a fabulous dimension! In order to curl my bow tails a little more, I repeatedly ran the twine in-between my finger and a ruler. I avoided using the blade of scissors as it has a tendency to fray the twine. The sentiment is purposefully stamped overlapping the stamped water spout (is that what it's called?!) to allow the design to flow and make it easier for the eye to follow. Be sure to visit Clearly Besotted HQ (aka Stephanie's) for more wonderful sneaky peeks and links to the rest of the super Design Team who have yet more inspirational projects to share with you today. 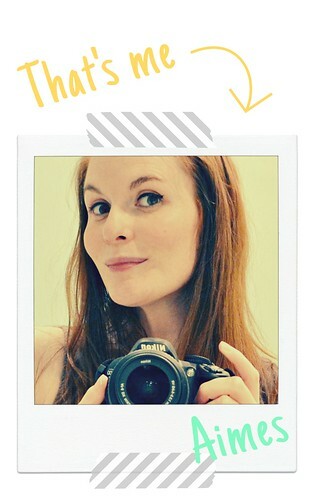 Well, it just leaves me now to say thanks a ton (hee!) for stopping by here today and I really hope you can join me tomorrow for a final sneaky peek and the full reveal of what's proving to be a fabulous release! This whale is just adorable. I like your simple design and sun and sea colour scheme. Too fun and cute Aimes and thanks for the tip with the curly twine. Totally fabulous! I love the glossy whale with his googly eye and the curled twine looks wonderful. Beautiful Amy!! I love the circle and the striped background!! This is such a cute card! Love the big stripes in the background!